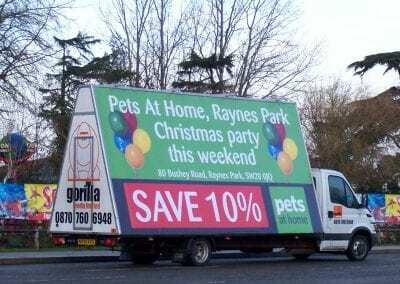 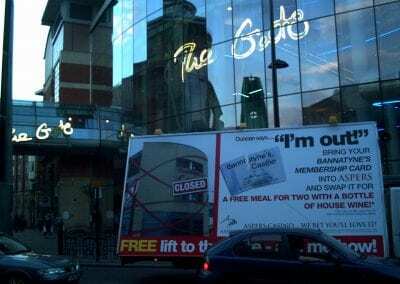 Gorilla Media supply mobile billboard advertising in the form of AdVans, AdBikes and AdTrailers, to a growing number of Clients across the UK many of whom re-book time after time. 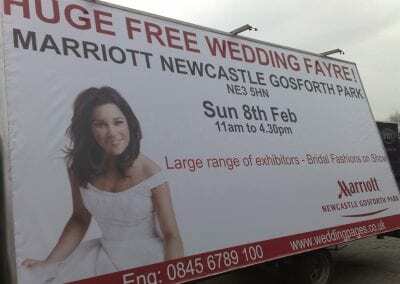 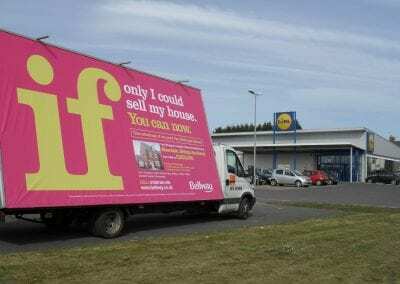 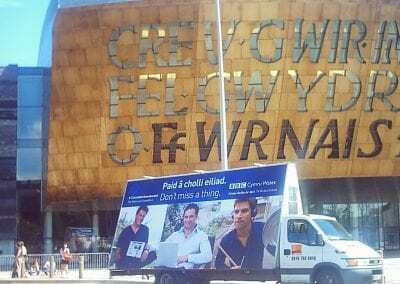 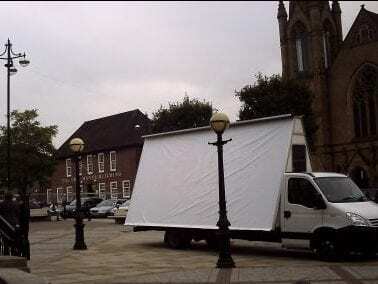 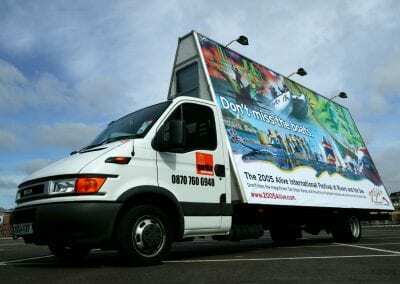 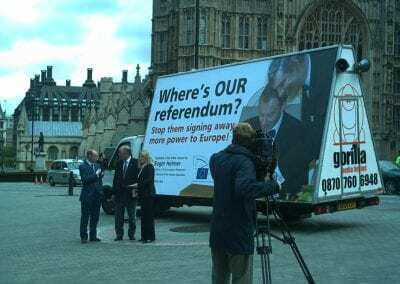 Mobile billboards also provide an eye-catching backdrop for PR and promotional launches, with the result of enhancing photo opportunities for press and TV coverage. 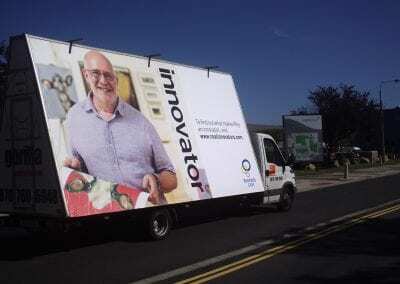 Click on one of the galleries below to view images of our mobile billboard advertising campaigns including ad vans ad bikes and ad trailers either by product, use, or industry sector. 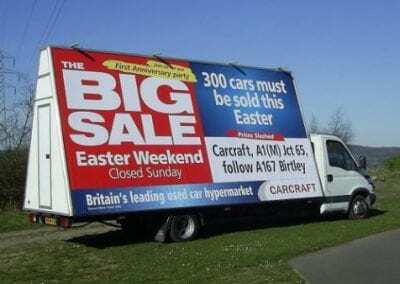 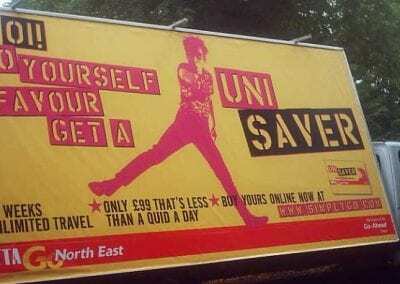 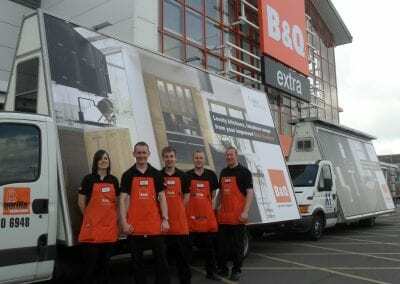 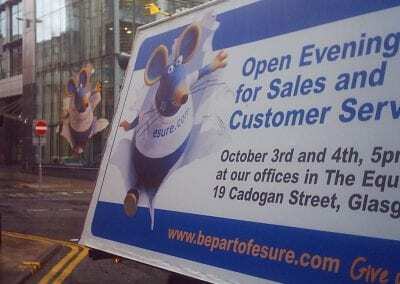 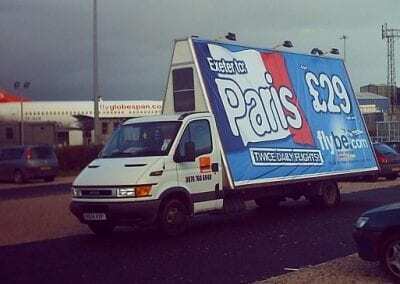 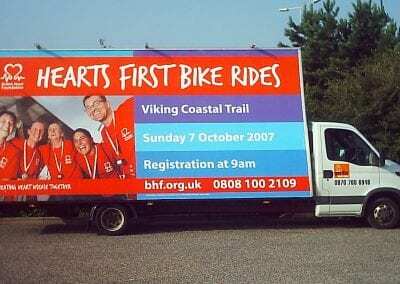 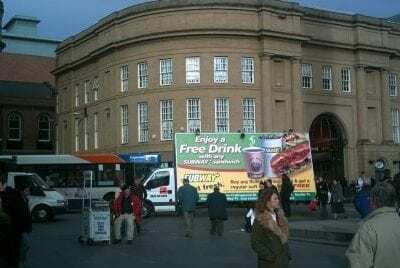 The fleet of advertising vehicles including advertising vans and advertising bikes and human billboards can also act as a staging post from which to issue leaflets or for field marketing personnel in product sampling campaigns. 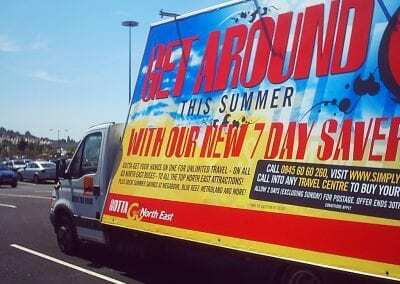 They operate wherever people congregate including main arterial routes, shopping centres, major sporting fixtures, entertainment events, conferences and exhibitions. 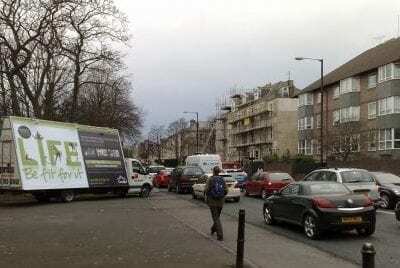 The result of this precise targeting is to deliver the message to the very heart of the target market.